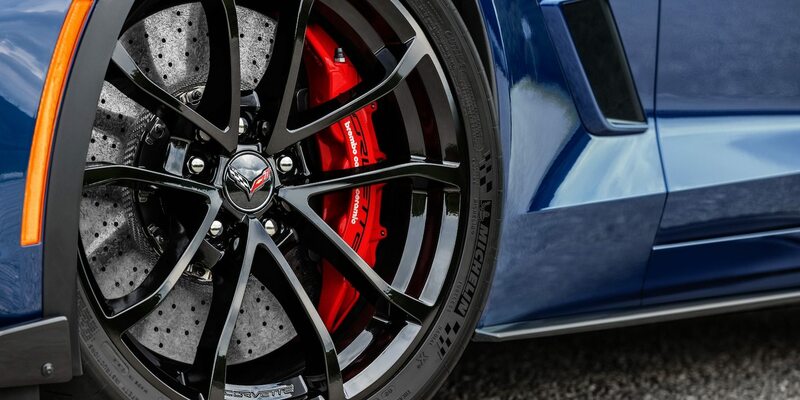 The braking, suspension and aerodynamic technology of the powerful Z06 with the mighty LT1 V8 Engine. 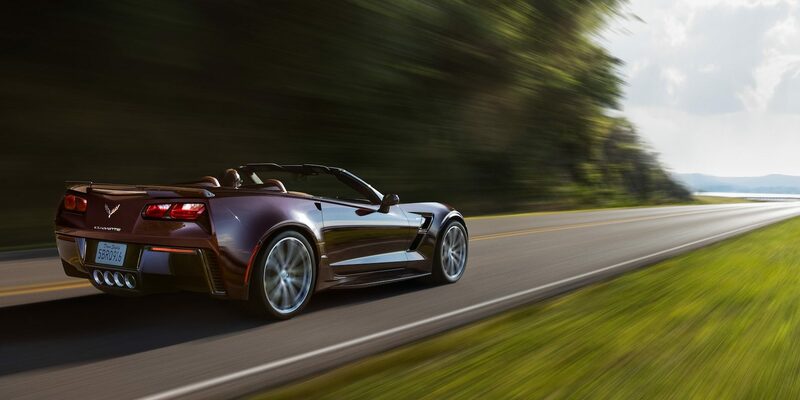 The Grand Sport boasts the power and handling you’ve been waiting for. Say hello to non-stop exhilaration. Count on consistent and dependable control when you need it the most. You choose - a 7-speed manual with Active Rev Matching or an available 8-speed paddle-shift transmission. 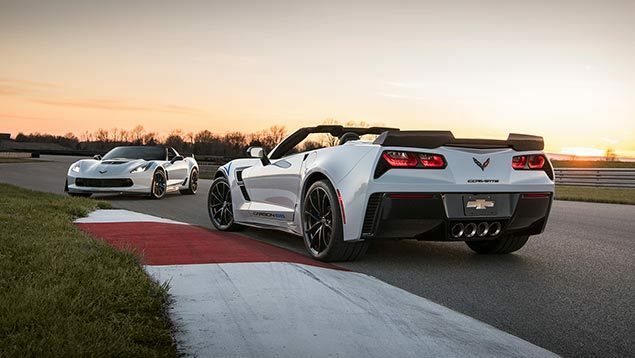 Both are perfectly matched with the LT1 V8. For even greater performance a dry-sump oil system, which pumps oil from a separate reservoir, helps maintain consistent oil distribution in high-g cornering. Equip the available Performance Data Recorder to log a video of your sessions and some real-time performance data. 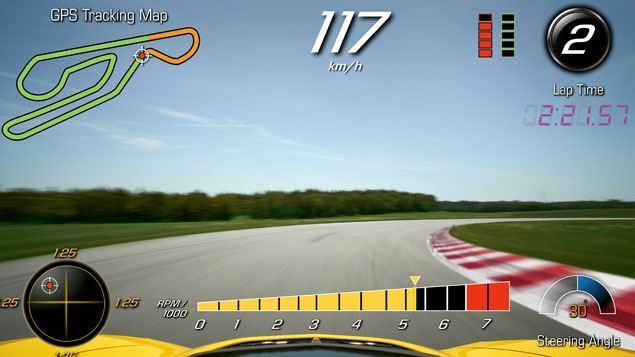 The data is stored onto an SD memory card so you can pick your technique apart and hone your driving abilities. When someone else gets behind the wheel, use Valet Mode to record how other’s handle your Stingray when you aren’t around. Engineers have Corvette running through their veins. 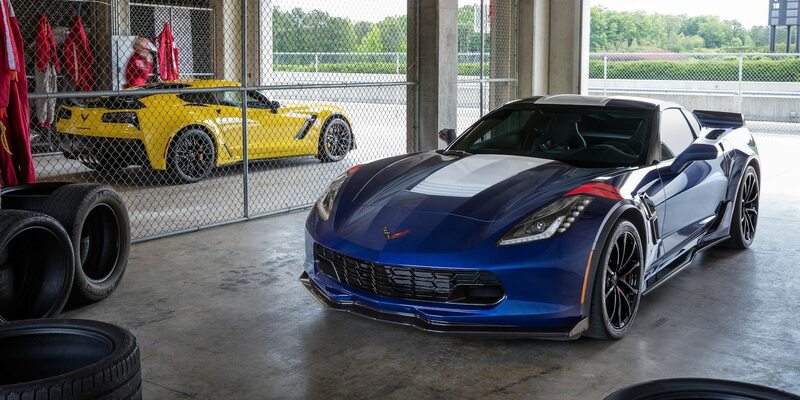 They worked meticulously to introduce aerodynamic and cooling elements into the Grand Sport exterior while remaining faithful to that signature Corvette style. This car has always been designed to be a convertable which means it performs well even with the top down. Optimally increased airflow through the mesh grille and Grand Sport-badged front fender inserts. The wide stance which accommodates wider wheels says confidence and dominance. Heightened aerodynamics through a lightweight design and carbon-fibre parts. 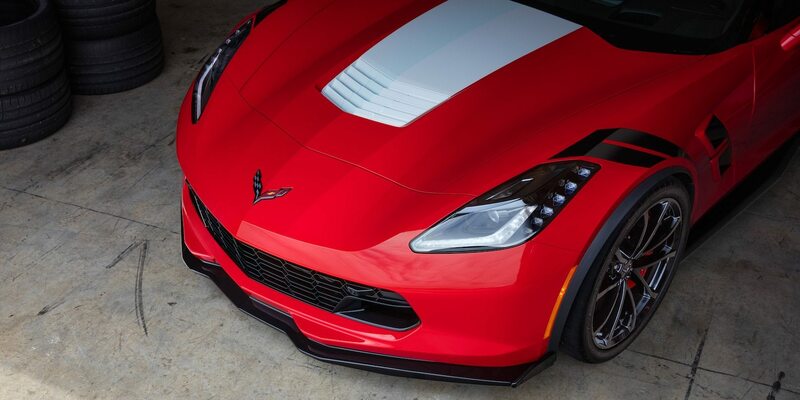 Z06-style frotn splitter, special rocker panels and a rear spoiler with wicker bill provide downward force that’s for more than just show. Available Carbon Fibre Ground Effects completes an aerodynamic setup. 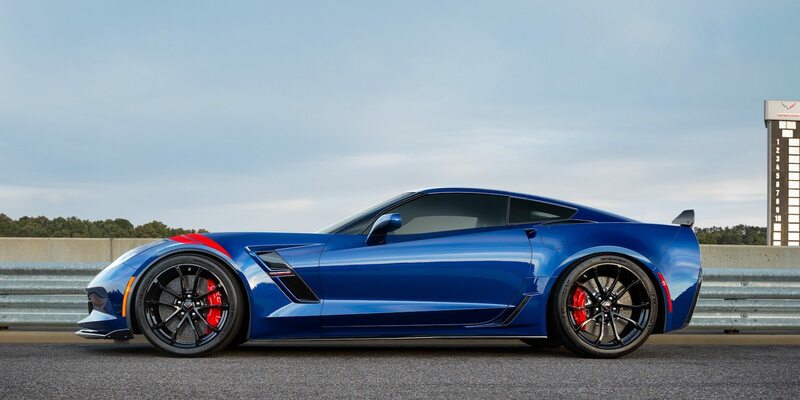 To celebrate 65 years of Corvette we’re introducing the Corvette Carbon 65. A limited run of 650, available on Grand Sport 3LT and Z06 3LZ coupe and convertible models. This exclusive model is wrapped in a new Ceramic Matrix Gray Metallic body colour with visible carbon-fibre components, leather appointed Competition Sport seats with sueded microfiber inserts and blue stitching, carbon-fiber interior trim and steering wheel rim. 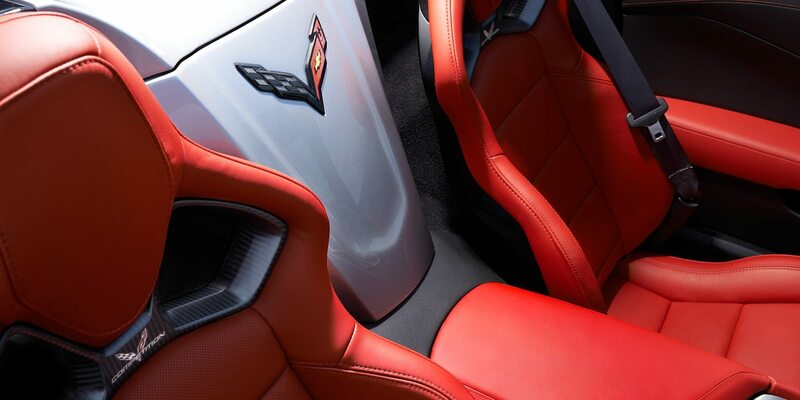 Personalize your Grand Sport to fit your style. The Grand Sport Heritage Package honours the original model. Hash mark fender graphics and available centre stripe both come in six colours. A unique interior showcases fine touches like brushed aluminium trim with hash mark details. The Grand Sport features design elements which are as intuitive and functional as they are luxurious and attractive. The flowing design of the driver-oriented cockpit and intutive instrument panel helps you stay focused on the drive. Available heated/ventilated front seats and dual climate control keep you and your passenger comfortable so you can stay focused on the journey. Available Competition Sport bucket seats with pronounced side bolsters built for corners. 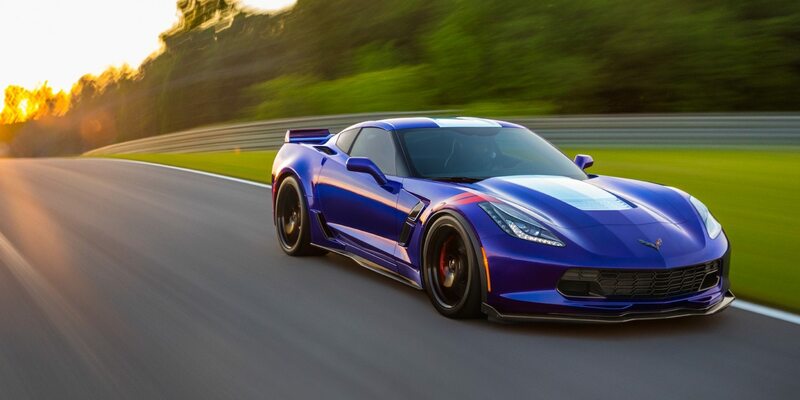 Corvette is designed to help you stay safe with active technologies like Tranction Control, standard Bi-Xenon headlamps, 4-wheel anti-lock brakes and Active Handling Stability Control. When a collision is unavoidable, the lightweight aluminium space frame is designed to provide added stiffness and the available OnStar® Automatic Crash Response can provide emergency assistance.